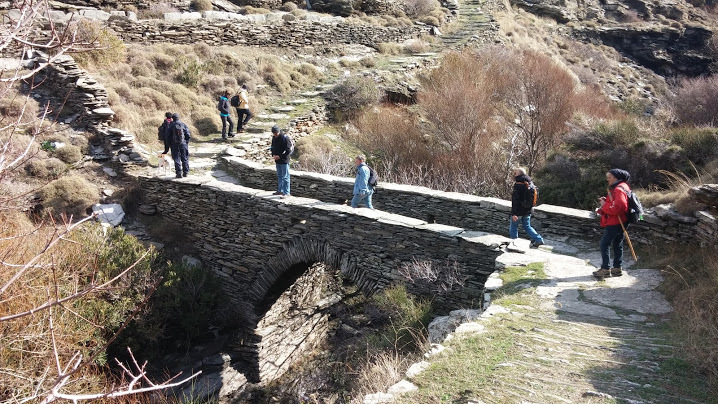 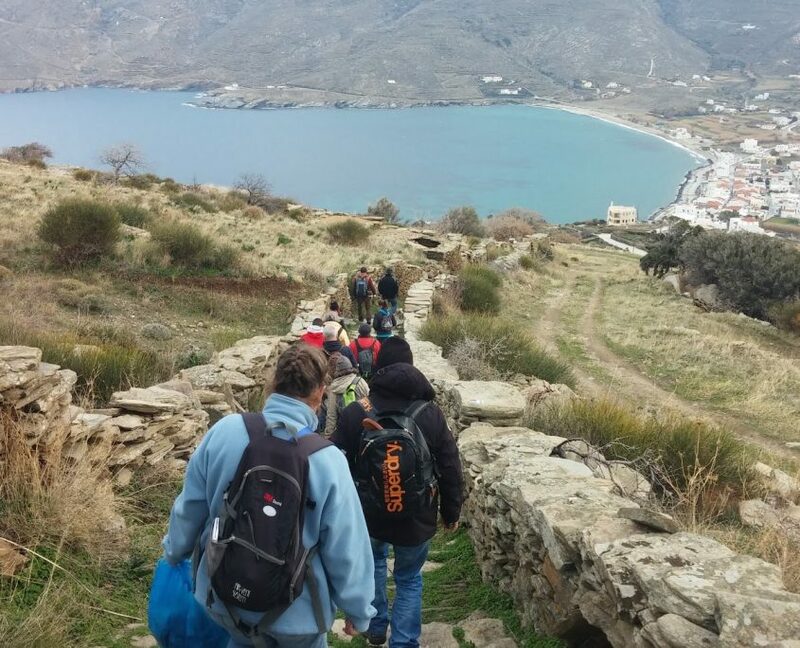 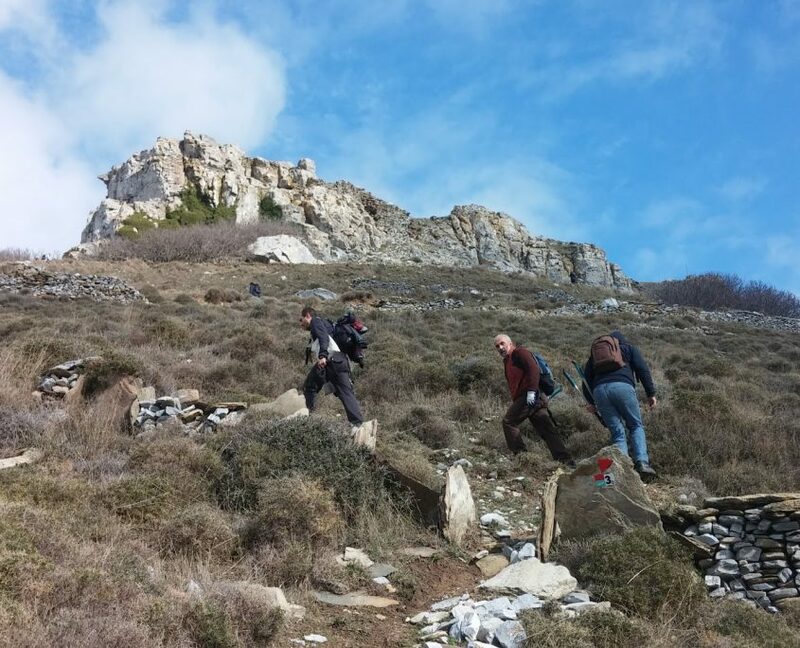 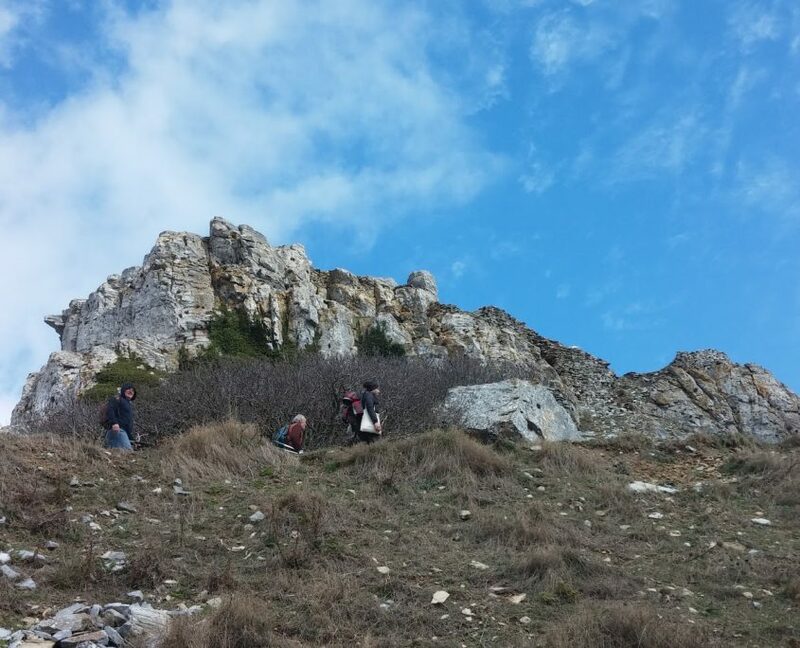 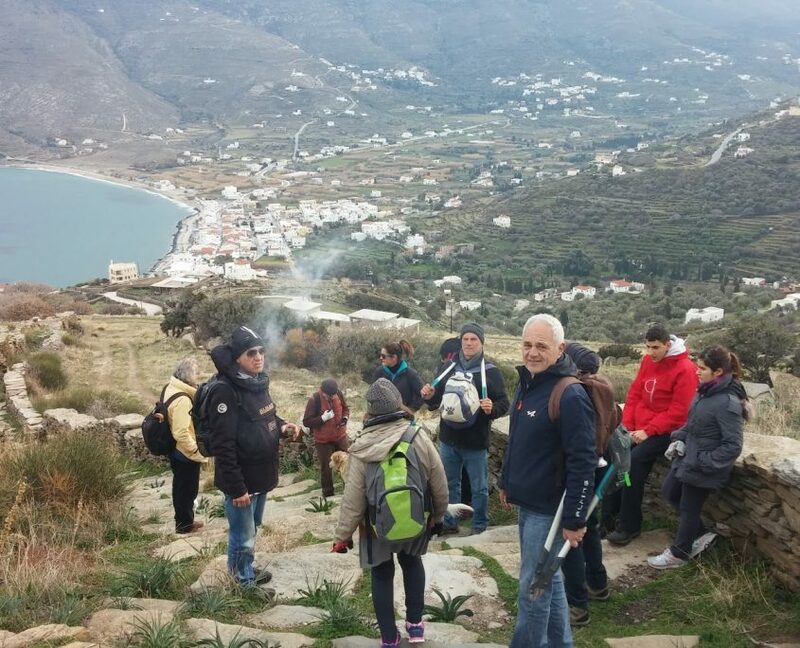 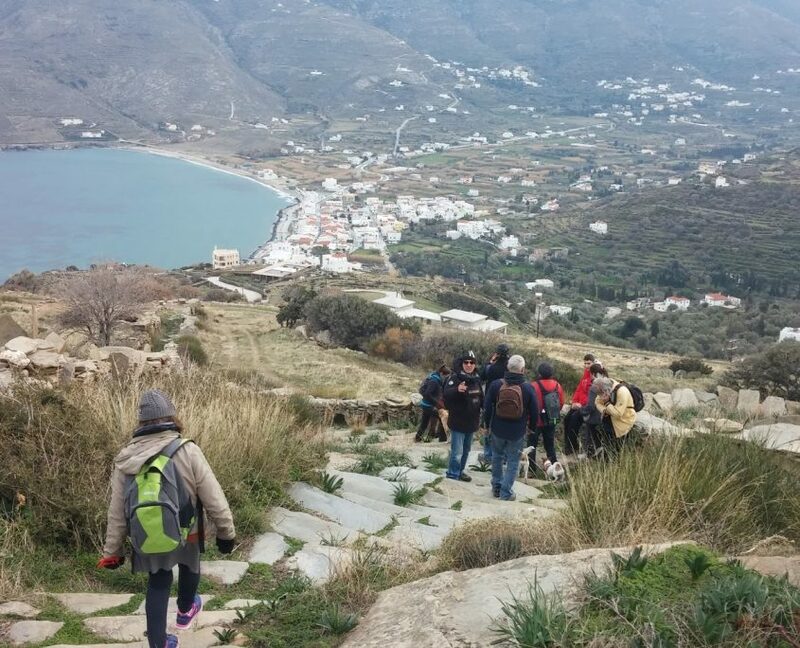 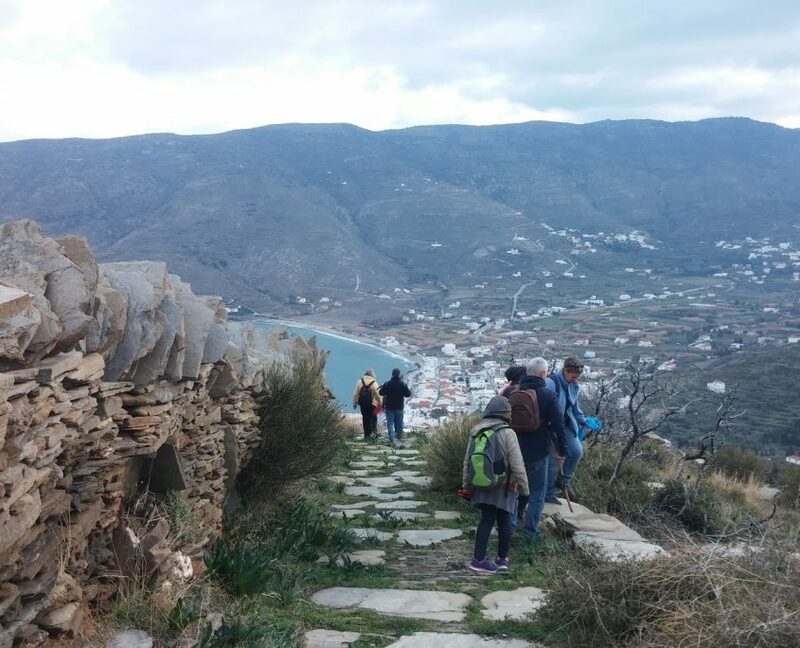 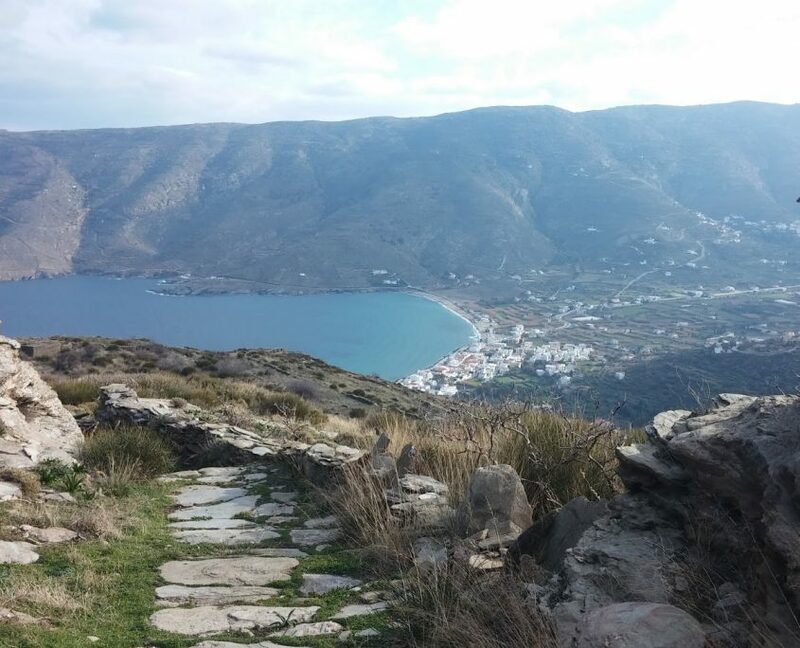 Last Sunday the 29th of January 2017 we have enjoyed another lovely hike while maintaining the paths of Andros. 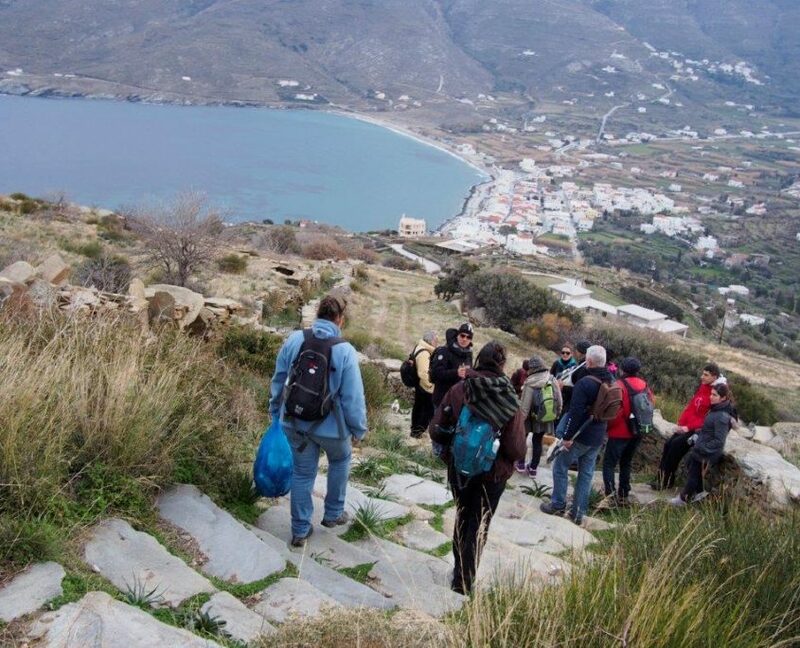 We met at Ormos Kothiou, initially 13 people from several areas of the island (Mermigies, Fellos, Ano Gavrio, Gavrio, Batsi, Ano Aprovatou, Kaparia, Kochyloy and Katakalaioi) and we drove to the Dipotamata area close to Syneti. 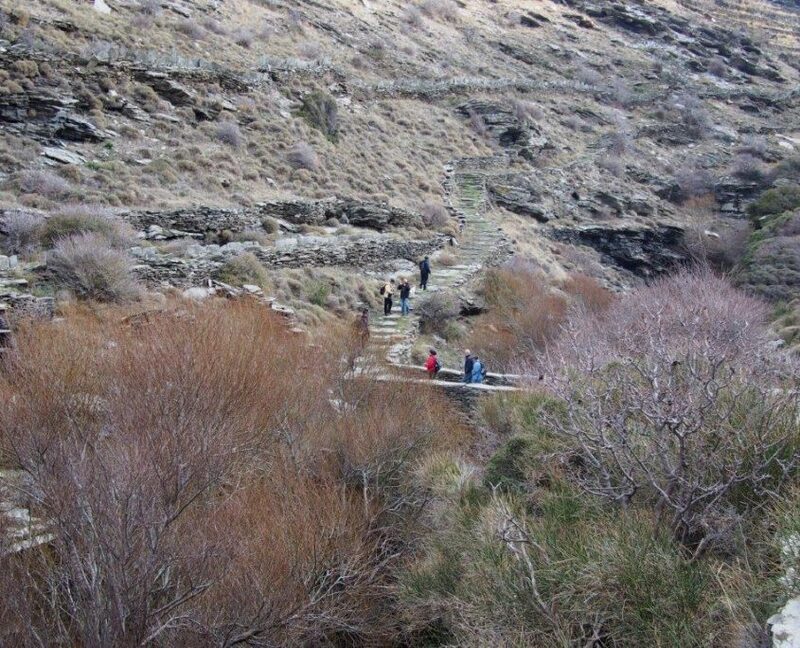 A bit later 2 more volunteers from Mesaria joined us along the way. 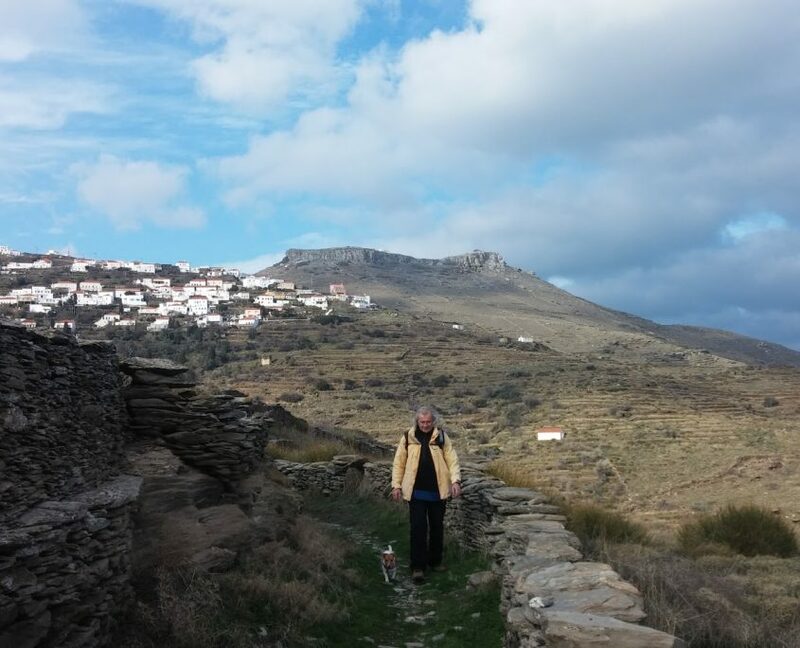 The weather was very good, a touch of cloud with mild winds and and comfortably cool. 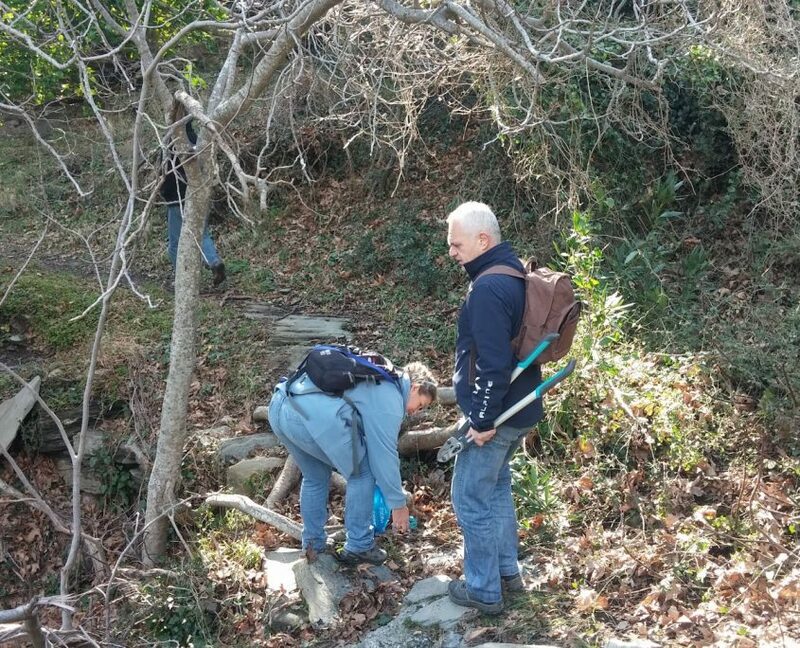 We initially descended towards the ravine of Dipotamata with the arched bridge and the beautifully crafted watermills and then ascended towards the Upper Castle taking the 3b branch of the route. 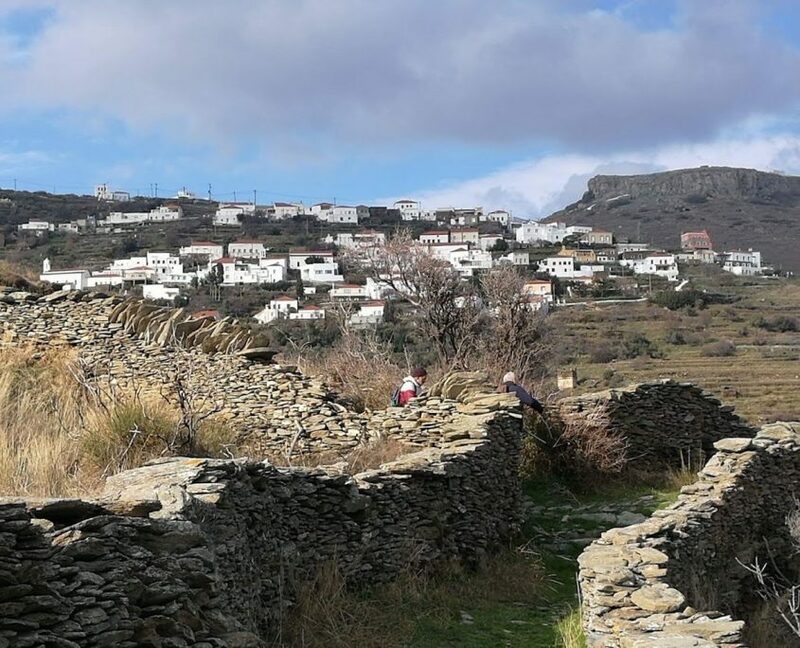 After exploring the archaeological site and enjoying the wonderful view and the unique agricultural landscape of Korthi we returned to the the main route no 3 passing through Kochyloy and Rogo. 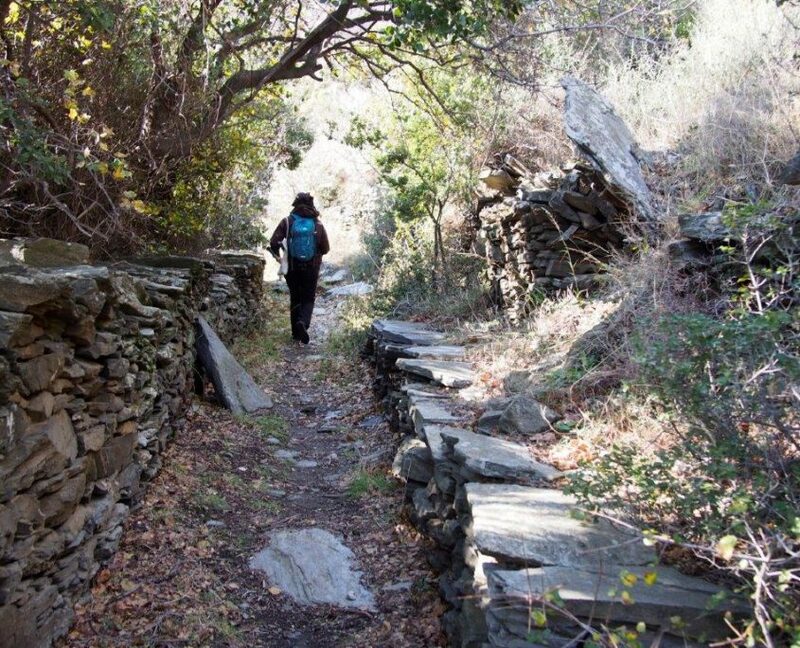 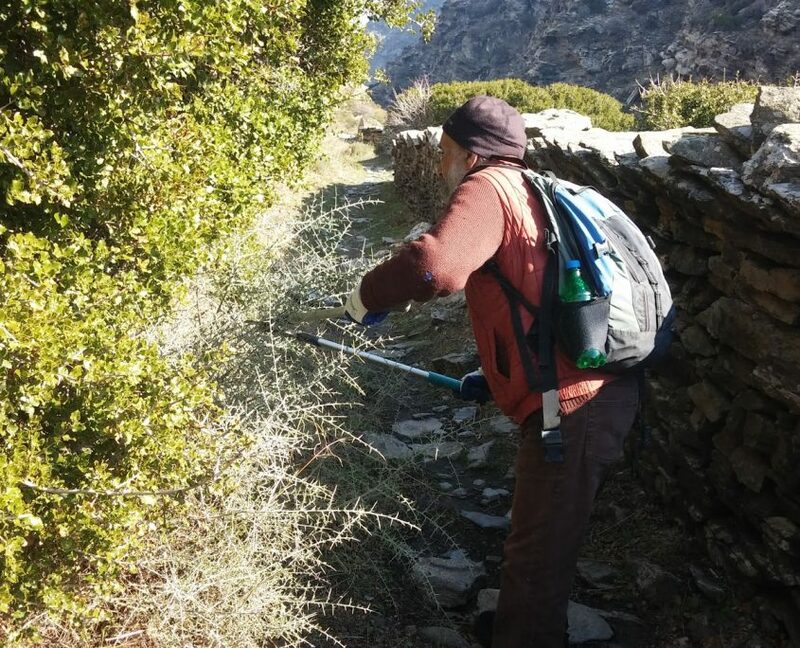 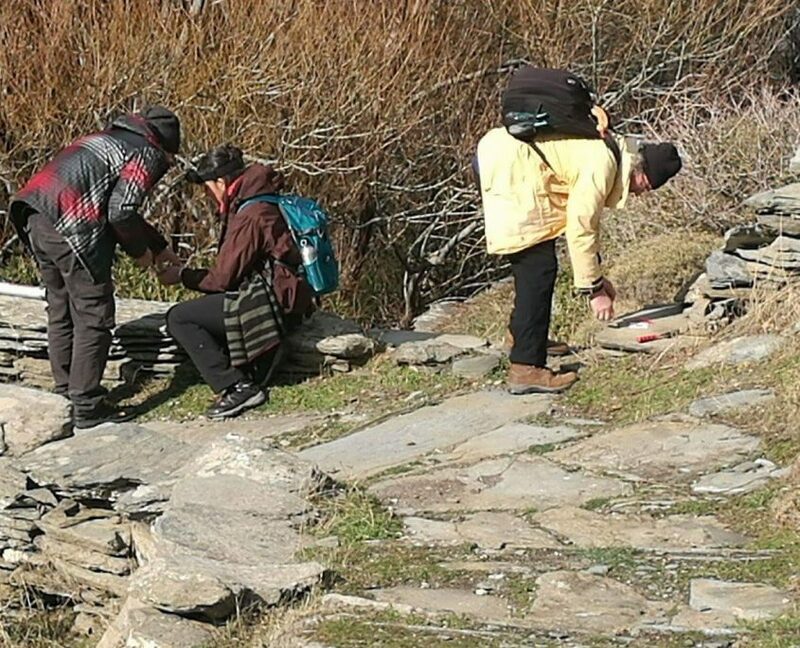 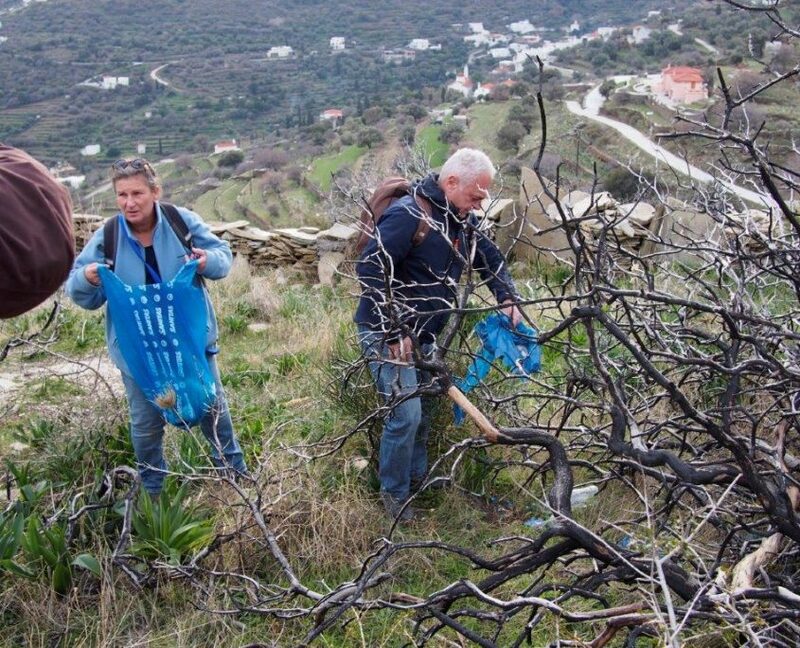 Along the way we have cleared overgrown vegetation, picked up garbage mostly close to Ormos Korthiou, replaced fallen stones back on the dry stone walls and maintained, where necessary, the way markings. 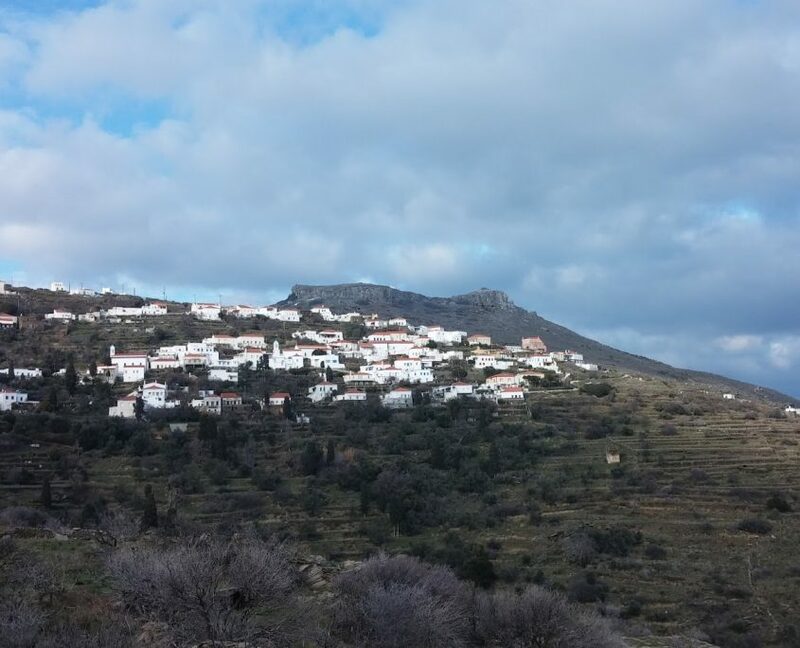 The day was completed with a wonderful meal at Lithodomi restaurant in Ormos Korthiou. 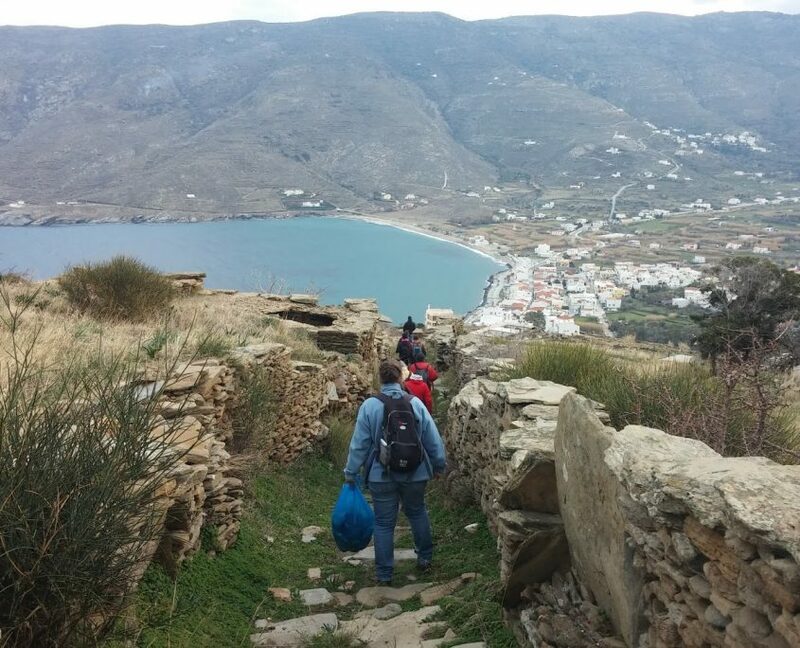 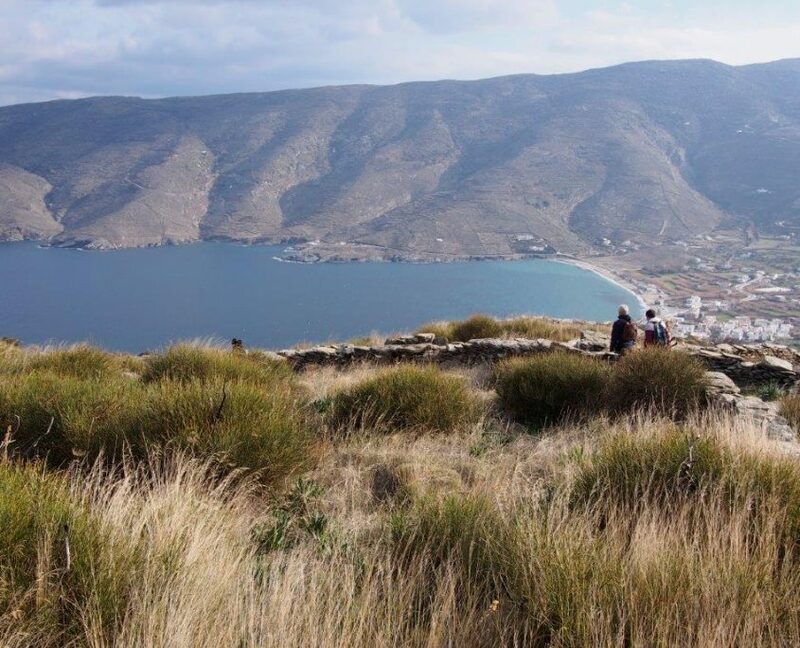 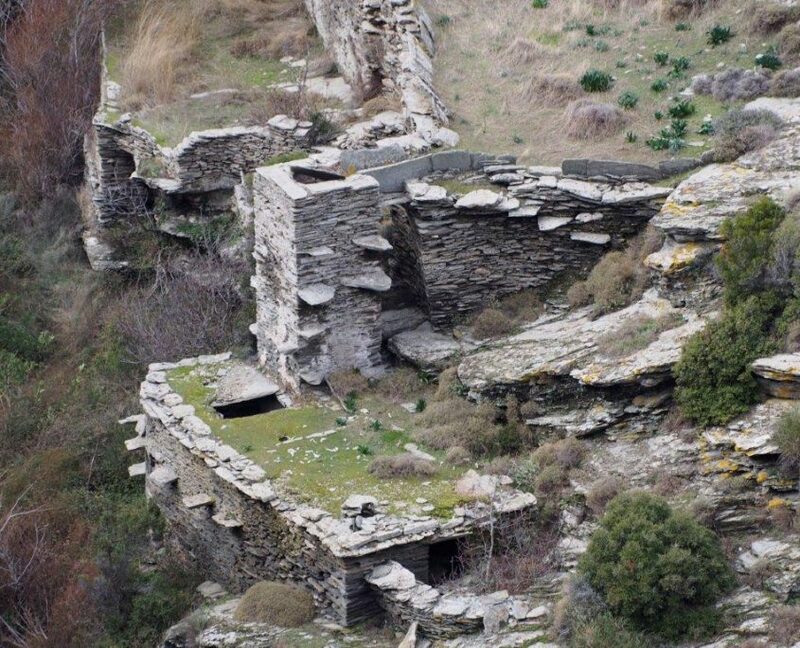 We thank all participants from our heart and we will soon announce our next hike to maintain the paths of Andros !